We know that City Connects helps students, but recently published research also looks at its impact on teachers — and on how they teach. The article — “The impact of comprehensive student support on teachers: Knowledge of the whole child, classroom practice, and Teacher Support” — appears in the journal Teaching and Teacher Education. As the article explains, teachers know that children living in poverty often face a long list of challenges, including hunger, homelessness, family chaos, and obesity. This pressing load of unmet needs also takes a toll on teachers, according to research — and to teachers who say they can often feel the emotional burdens that children bring to school. 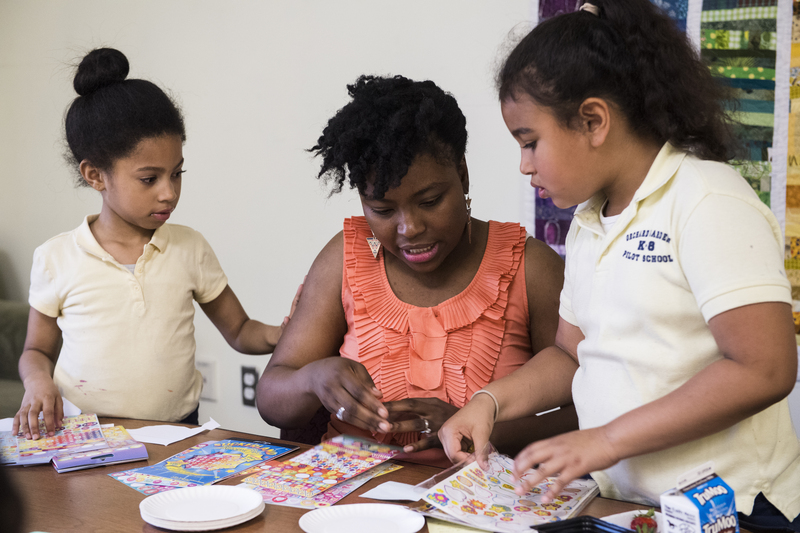 City Connects intervenes by helping children and their families manage out-of-school challenges, and this does two things: provides teachers with insight into their students’ lives and frees teachers from having to struggle with their students’ problems. Teachers, in other words, can focus more effectively on teaching. The implications of this research? These new approaches could dramatically improve both instruction and outcomes among students who have the greatest needs.